Cascade is a variety of hop developed in the U.S.D.A. breeding program in Oregon at Oregon State University and released as a U.S. aroma variety in 1971. It originated from an open seed collection in 1956 including an English Fuggle, a Russian Serebrianker hop, and an unknown male. In addition to appealing flavor qualities, researchers were looking for resistance to downy mildew, a threat to hop yards. Cascade was named after the Cascade mountain range that runs through the states of Washington and Oregon. 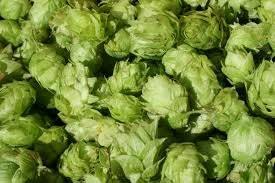 Cascade hops are the most widely used hops by craft breweries in the USA.